I’m more than happy to announce a little event I’m helping to organize for good friend Brynn Mclennan this fall. 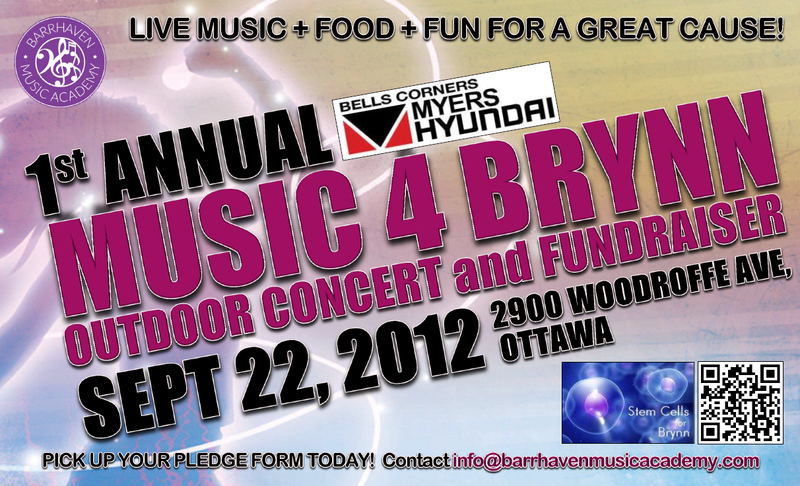 Music 4 Brynn will aim to raise awareness for Brynn’s stem cells treatments and all those who battle Muscular Dystrophy across Canada. To learn more about Brynn’s story, visit www.stemcellsforbrynn.com. So what’s all the excitement about?? Brynn and friends will be there to meet and greet everyone as they enjoy the show! More details to come! In the meantime, mark your calendars! What’s the point of music lessons if my child won’t practice?